At the most basic level, a budget is a spending plan or as some like to call it a cash flow plan. You have income coming in from your job each month. You also have expenses each month. A monthly budget helps you know how much money is coming in, how much money is going out and to where it’s going. A budget provides the framework for you to win with money. How does it do that? Quite simply by providing boundaries and by providing freedom. A budget gives you boundaries to work within. It functions like the guardrail of a highway that protects your car from careening over the cliff. You can only go so far before you have to make a course correction to get back on track. But budgets are also about freedom. That’s the way you need to frame your thinking about them. Many think of budgets like a straightjacket. They view budgets as a restrictive torture device keeping them from having any fun. Budgets are confining, keeping us boxed in. I’ve been there, believe me. I love to spend as much money as the next person. There was a time when I thought budgeting wouldn’t help me accomplish my financial goals. I knew they wouldn’t make me feel good because I couldn’t buy the things I wanted. I’ve come to realize there is great freedom in budgeting. We can spend our income on anything we chose as long as it fits within the confines of the monthly budget. If we want a new flat-screen TV we can go buy one. Just adjust the budget categories so all other expenses are covered. Thinking about budgets in terms of freedom of choice changes your perception about them. You will no longer see them as being something evil designed to frustrate us. But what’s the real reason we need a budget? Can’t we just throw all of our income into a pot and use it when we need it? Why should I care about specifying where it goes? Those are great questions that have a specific answer. The real reason you need a monthly budget is because you are in a relationship with your money. If you don’t manage the relationship, your money will control you. Money is an inanimate object yet it wields tremendous power. People work, struggle and plot how to have more control over it, only to find they can never gain the upper hand. The inability to control money can lead to complete frustration. At that point people give up dealing with it. Their relationship with money has become one-sided with money serving as the dictator. 1. It’s really essential for living. I can’t think of a normal scenario where a person could survive without some form of currency. You will still need supplies from time to time, even if you are living off the land in a backwoods cabin. The most remote tribes in the world still have mechanisms with which to barter and trade for their daily needs. Money is the tool we use to provide for our daily needs. We know we need it and we go to great lengths to get it. 2. It’s finite. I know that money can grow and in that sense it would seem that it is infinite. But at any given point in my life, I only have so much to go around. Because I know I only have so much money to go around, I continually desire to get more of it (so that I can then have more of it to go around). 3. It’s active. Money is continually moving and changing places. What amount comes in my paycheck each month does not all stay with me over the next 30 days. It goes to purchase goods, to buy services, into financial accounts at various institutions and to local charities. Some of it is even paid out to my awesome kids who do work around our house. Once it gets into their hands, it can be passed off again as they buy foam bullets for their Nerf guns, clothing and jewelry or pizza from the school cafeteria. Money moves around so quickly. It’s gone before we know it and it’s easy to lose track of. If you make $40,000 per year, that’s $400,000 flowing through your fingers in a decade. That’s a lot of money to not know where it goes! 4. It creates emotion. Money itself has no emotions but it definitely creates them within us. The emotions that arise over money issues span the gamut and are really powerful. Some might include fear, greed, pride, discouragement or even peace. These emotions don’t only impact us. We live them out with each person we come in contact with. Most notably these include our spouse, children, close friends and work associates. Our capacity to manage our emotions will lead to the enhancement or breakdown of these relationships. So if this is all true and money has this power, why would anyone choose NOT to do one? There are many reasons people neglect doing a monthly budget. The first three reasons are why I chose not to do one initially. I really didn’t think I needed a monthly budget. The amount of money my wife and I were earning through our jobs seemed to be enough each month. We usually had enough to cover our expenses and have some left over for discretionary spending or to put in savings. Key word in that last sentence was usually. Usually for us meant about 7 months out of the year. The other five months something would “come up” (either an emergency or a want). We would overspend and be forced to dip into our savings to cover the need. But 7 out of 12 is pretty good, right? Better than most people were doing anyway I thought. Growing up, I had parents who were awesome at budgeting. They used a system where they would put cash into envelopes, each one designated for a specific spending category (food, gas, clothing, etc.). They were always checking the envelopes to see how much cash was left for the month in that category. Sometimes towards the end of the month they would run out of cash for a category and then have to figure out what other envelope they could take money from to pay for the needed expense (ex. – take money out of the clothing envelope to pay for gas). Then of course, they had to keep track of how much money they took from that category so they could replenish that envelope on payday. Like I said, it was an awesome example of how to run a monthly budget – it just seemed like a huge hassle I didn’t want to deal with. In the end, it was all about laziness and being negligent about an area of my life that was really important. It takes work to put together a monthly budget and daily commitment to follow through on it. At the point of my life where I was living without a budget, I had no desire or passion to subject myself to the daily discipline a budget requires. It’s just where I was in my thinking at the time. That was my experience. Your reason may be different. Here are five other reasons that describe why people refuse to budget. See yourself in any of them? For those who are married, this may be the biggest reason budgets are not created every month. This reason is all about relationship tension that exists between husband and wife. And the tension may not have anything to do with money – it could be a completely separate issue. Whatever the reason, the tension is keeping husband and wife from working together as a team and seeing things eye to eye. Neither person understands the needs or wants of the other and they never get together on this issue. This issue comes up because someone has a negative perception about what a monthly budget is for. They view it as a means of controlling their every spending move. Maybe they’ve had an over-controlling, budget-Nazi spouse beat them over the head with it in the past. They feel like they can never have any fun because all they have heard is “It’s not in the budget”, “It’s not in the budget”, “It’s not in the budget.” Thus a negative perception develops. If a budget was tried once and it didn’t seem to work, then that person would be less likely to try one again. Even if they know the reason for their failure, it will be difficult to attempt one again. Maybe you really don’t want to know what’s going on with your money. Maybe you would be too scared about what you would find if you were to get organized and put a budget together. I know this reason sounds extreme, but I think a good number of non-budgeters feel this way. It would cramp their style of spending if they were forced to be aware of where every dollar went. In the end, all these reasons are just excuses for not using a tool that has a tremendous positive impact on our financial life. So where do you get started? What’s the first step to doing a successful monthly budget? Here’s what my wife and I didn’t realize at first. Our first attempt at budgeting was a nightmare. Our intentions were good and what we did seemed logical at the time. However, after a few short months it became apparent we could not put together successful monthly budget. Every month is not the same. Do your monthly expenditures always stay the same? Of course they don’t. You may have some expenses that are a set amount each month, like the cable bill or the mortgage. However, most discretionary spending adjusts in amount depending on what is happening that month. That is the problem we ran into based on our system of dividing the yearly amount by twelve. Months would come where we were spent more than our allocated calculation for that month. For example, what happens if you want to take a week long road trip for summer vacation? According to our yearly-divide-by-12 budget, $150 would be budgeted in gas money for the month of July. That’s simply not feasible. We are going to blow way past that amount doing a week of driving for vacation. So how is one going to pay for that vacation trip? The thing is, a different expenditure would come EVERY MONTH that wrecked a particular category. Life has a way of bringing expenses when we least expect it. We could not make the regular expenses work out, let alone deal with emergencies when they popped up. Talk about frustrating. It really left us at a loss. A revelation occurred when we began to explore the literature on how to make an effective monthly budget. Since expenditures are different every month, the best way to compensate for that is to make a brand new budget – each month. We focused less on the yearly numbers and dealt on what would be coming up for the next month. So during the last week of each month, my wife and I would sit down and have a budget committee meeting. We’d review what might be happening in the upcoming month that might change our expenses. Then, we would make adjustments to the categories, moving money around to where it would be needed most. This process happened every month. At first, the meetings were longer as we learned the process and talked through our spending wants and needs. As time passed and a historical record of budgets began to build, we spent less and less time trying to figure out what expenses might be coming up in the next month. Patterns emerged in our spending and we saw how certain expenses came at the same time every year. As I mentioned earlier, after years of building our budgets in this way, we take less than 15 minutes now preparing the next monthly budget. So what expenses go first when you make a budget? Then how do you determine what comes next? Here is the five-step thought process as we make a budget each month. This shouldn’t be too big of a revelation but you’d be surprised how many people mismanage this step. They spend money on cable service but are behind on the mortgage. They shell out money for electronics and entertainment but have a difficult time keeping their children clothed. There is nothing wrong with cable TV, or electronics or going out to the movies. But those are secondary items that do not deserve to be ranked high in the monthly budget. People who make sure items like these are covered first in their budget are placing too high a priority on their importance. Food. This includes all monies spent on groceries, eating out, the kid’s lunches at school and your daily trips to Starbucks. Anything you pay for and consume should be accounted for here. Clothing. You may not spend money here every month (I can go months without buying clothes) but you must at least give it consideration. Shelter. A roof over your head brings safety, comfort and belonging. Wherever you lay your head at night is home. So prioritize the mortgage or rent payment check as one of the first that goes out the door. Utilities. What good is a home if the utilities are shut off? So pay the water, electricity, gas, and phone service (for us that’s just cell service as we have no home phone). Also include the trash bill here (unless you can drive it to the dump). Transportation. Being immobile would severely hamper our ability to get to work and earn a living. So plan on paying for the car payment, gasoline and vehicle maintenance. Or if you don’t own a car include money for some other form of public transportation. These are the first five things you should be looking at in your monthly budget. Everything else should be set aside until these are covered. I thought about skipping this. However, I would not be giving a true representation of what my wife and I do with our budget. You may not feel giving to charity should be accorded this high a priority. I understand that sentiment and would not choose to critique your personal decision. if that’s the case, you can skip to step #2. For us giving is ingrained in our minds and in our belief system that we should be giving regularly (monthly) to our local church. We set aside 10% of our income and place that “expenditure” at the top of our budget template. It serves a reminder that we have been given so much and should look for ways to give to those who bless us spiritually (the church) and to those who are less fortunate or have a need. Insurance has incredible value for our financial lives. I believe it’s truly vital…not an absolute necessity…but pretty darn close. That’s why it checks in on the second tier of expenses my wife and I look at when making our budget. Without insurance we leave ourselves open to great risk. We are a bad, at-fault accident or a major health problem away from bankruptcy. That’s not overstating the dangers considering the high cost of healthcare or the litigious nature of our culture. Insurances serve to rescue us from potential financial ruin. If you are interested, I’ve written a detailed post about each type of insurance. I look at the specifics of each type of insurance, what to look for and how to save money on each one. Click on the article titles I’ve provided above to be redirected to that article. The third priority when you make a monthly budget should be to allocate funds to pay off other debts that are unrelated to the mortgage or the car payment. We dealt with each of those in step #1 when we set aside money for shelter and transportation. The two things that would most likely fall into this category would be school loans and credit card debt. But you could also be dealing with a home equity or other type of loan that needs to be paid back. Any debt that falls outside the car or mortgage payment should be funded here. I labeled #3 as “Debt-Free Existence” because that is what we are striving for. I don’t want to let debts languish month after month or year after year by only paying the minimums when the bill comes. My goal was to get rid of debt as quickly as possible using a debt payoff method. The good news is once the debt is gone you can skip this step entirely. Speaking from my own experience of becoming entirely debt free, it’s a pleasure to not deal with this each and every month. The fourth area to prioritize is what I call “hassle expenses.” I refer to them this way because they are not necessities but life would be more challenging in some ways if we didn’t account for them. Some monthly expenses we budget for in this step include our cable television service, Internet access, and our home security system. As you can see we don’t NEED all of those things. A home security system is clearly an optional expense. You could find Internet access in a plethora of Wi-fi hotspots around town (restaurants, libraries, etc). In fact, we went without cable TV service for about 3 years while we were paying off our mortgage early. But a) we can afford them, b) they make life more manageable and c) they add to our life enjoyment. In this category, I would also include budgeting for any home maintenance expenditures that are not compromising the integrity of the home. (Some home maintenance might be considered a necessity – like a leaking roof or faucet – and would need to be dealt with in Step #1 – Shelter.) We want to deal with home maintenance issues eventually because they nag at us and give us the sense our home is falling apart (even though it’s not). They may also lead to bigger repair issues if not taken care of in a timely fashion. Two other big hassle expenses we prioritize in step four are handling savings and retirement. I consider these hassle expenses because think about what life would be like if you had no savings. Or if you had nothing invested for retirement. With no savings you’d continually be going into debt to handle life’s emergencies. Without money for retirement you could end up working until your 80 and then relying on the little you’ll receive from Social Security. You need to fund savings until you have 3-6 months of cash saved in a bank account that you can access immediately. Once you have that amount saved you can skip funding it in the budget unless it drops below your comfort threshold. Investing for retirement should never end, at least not during your working life. Budget for that each month so your investments grow over time and you’ll have money to live out your later years with dignity. The final items we look at as we make a monthly budget are all optional expenses. Some we encounter every month while others are more sporadic and we don’t know if/when they are coming. Even if they occur periodically though we still account for them as if we might have to deal with them. I termed Step 5 “The Continuum of Value” because what items you put here will be different than ours based on what optional expenses you value. Some will be more important than others. The expenses you see as less of a priority are often the ones that get dropped out of the monthly budget first when you find yourself with less discretionary income for one reason or another. Items 1-6 on the list we fund money for and spend in almost each and every month. Items 7-10 happen less frequently and are the ones we would bump out of the budget first if we ran short on money in any given month. You can see how these are based on what we value most, as we put kid expenses at the very top. With four children in the house “Child Related Expenses” easily becomes our third most expensive budget category behind food and health insurance. But that may not be what’s important for you. That’s why everything in step #5 is based on what you value at that time of your life. Your priorities will change over time. In about 12 years, child related expenses will not exist in our monthly budget as all as our kids will be out of the home. When you make a monthly budget always remember to fund the necessities first and then protect yourself from financial risk by keeping your insurances current. After that prioritizing the budget expenditures becomes an issue of the financial stage of life you are in and what you value. This step is not as critical as organizing your budget priorities. However, at some point within the first three months the budget categories should be evaluated to see the percentage of money going into each one per month. This will allow adjustments to be made in those categories where too much or too little is being spent. Don’t worry about being a little over or a little under each percentage. Remember this is just a guide to give you direction and feedback as to where the money is really going. The neat thing about tracking spending is that a history soon develops. I have multiple years of budgets now that I can go back and reference. In that history, I can see how income and expenses have changed over time. But most importantly, I can see progress. And that’s an awesome boost of confidence to know that I’m winning with my money. One task that may not be apparent to first time budgeters is to create a zero based monthly budget. Putting this step in place helped us lesson our early budget failures and move us towards a place of continual success. First, determine all the sources of income that will be coming in during the month. This includes your monthly salary from your full-time job or side hustle income. However, make sure to include other sources of income you might be receiving such as investment dividends or child support. Add these together to determine your total monthly income. The second step is to calculate all your set expenses. This would include all the bills you regularly pay each month. Items such as the mortgage, utilities (electricity, gas, water, phone, Internet, cell phone, etc.) insurances and consumer debts are what you want to include here. Total all those amounts and subtract them from the income. By now you should have a figure to proceed to step three – figuring out your adjustable expenses. Adjustable expenses are those where you exercise a little more control over the amount you spend. Expense categories you might plug in here include food, clothing, entertainment, transportation, home maintenance, hobbies, saving and giving. Once you have the adjustable expenses set subtract them from the number you calculated in step two. So as you can see the goal of a zero-based budget after these three steps is to have the final amount equal zero. We don’t want any amount of money left over on the bottom line of our budget calculation. One thing I’ve learned the hard way is the concept that money is active. It will find a place to go if I’m not paying attention. If there is money left over on the bottom line of your monthly budget where is that going to go? The answer is “Who knows?” It could end up in the savings account if your disciplined enough. Yet again it could go to a movie date with your spouse, a grande white mocha each morning at Starbucks or a new baseball glove for your son. The point is you don’t know where it’s going because it’s not been allocated to a category. In a zero based budget every dollar MUST be assigned a category. You must tell your money what to go do with itself or it will exercise it’s own will on your life. Put the budget together before the month begins. Have a budget planning meeting where you forecast what the next month will look like. Have the budget ready to go on the 1st. You will have to play with the numbers in the planning meeting to get it to balance to zero. Use the adjustable expenses category to do this. Your income and the set expenses won’t typically have much leeway to change. Just because you allocate “X” amount to a budget category doesn’t mean you have to spend it during the month. A budget is simply a spending plan. The actually execution of that plan will vary and you may not spend the money from that category after all. You can change the budget during the month. However, if you add or subtract money from one spending category you have to add or subtract it from another. Make the budget equal zero no matter what changes are made. Make sure to include a savings line item in the budget. Treat it like an expense. Too often people just save what’s left over at the end of the month. So in essence they save nothing because they spend all their money each month. Put the savings money away at the beginning of the month so you are not tempted to spend it. At the beginning of the month you allocated “X” amount for a particular budget category. Due to clipping coupons, noticing that sale item or exercising some intense discipline, you didn’t end up spending as much for that category as you had planned. Put another way you budgeted $600 for groceries but only spent $525. You thought that dress would be $100 but you lucked into a half-off sale. There was no car maintenance for the month so the $75 you earmarked for that wasn’t used. What do you do with that extra money? Where does (or should) it go? It may seem like a silly question but there are actually some issues here that need to be addressed. I can think of three different options for your extra budget money at the end of the month with one of them being the clear winner in my book. The inner child in me loves this option. Woo-hoo…! Let’s use up the rest of the money allocated to that budget category. That’s what a budget is for isn’t it…to spell out how much you can spend? Well, not exactly. The budget is a spending plan not a license to spend. There is a big difference. Just because a budget says you can spend that amount doesn’t mean you have to. A spending plan gives you guidelines to follow. However, the plan can be (and most likely will be) adjusted during the month based on what life throws your way. There is nothing about a spending plan that says you have to spend your money. It’s not forcing you too. If you save money on groceries this month, great! No one is holding the plan over your head demanding that you spend right up to the amount you allocated in the budget. In my opinion, this option is not the most responsible path to take with the extra budget money. There is nothing wrong with using up the eating out money now and then but to make it a consistent habit will keep you from moving forward and kicking your financial gears into overdrive. First, you could roll it over and keep building that category/fund. For example, if you allocated $300 a month to your family clothing budget but only spent $200, then the following month you would have $400 to spend ($100 from prior month + $300 from current month = $400 clothing budget for current month). In essence whatever isn’t used for one month gets added on to the budgeted amount for the next month. The challenge I see here is that the rollover money could grow to a substantial amount if it’s never used. I hardly ever buy clothes so continually rolling over my allotted clothing money month after month becomes excessive at some point. That can be mitigated by the second roll-it-over option. Under this plan you would roll over the unused portion of the budget money and not fully fund that same category for the next month. If I had planned to budget $200 for clothing but had $200 left over from the previous month, I wouldn’t let the clothing fund in the current month become $400. I’d simply move the left over money into another budget category for the current month. I don’t really like this option either. For starters it’s adding layers of complexity to the budget that really don’t need to be there. Plus, I like my budgets to remain the same month in and month out as much as possible. We’ve been doing it for so many years now many of the numbers stay the same. The movement of cash from one month to the next and reallocating it to another category is a step into confusion and extra time commitments for me. Of the three, this option provides the biggest bang for the left over budget bucks. Instead of spending it or rolling it over to be used in the following month, redirect the unused dollars to your area of biggest need. If you are paying off credit card debt then all the money you didn’t spend in the budget should go as extra to pay off the credit card. Trying to build your emergency fund? Then earmark the money you didn’t spend in the budget to grow that fund even faster. If you are investing for retirement or the kid’s college or saving for that special vacation, let the extra budget money flow into those categories. Look to place the extra budget money into whatever stage of money management or personal finance goal you are currently pursuing. It rewards your discipline. You worked hard not to spend as much and your discipline should be rewarded. Not through frivolous spending but by achieving your goals. It builds excitement through unexpected momentum. You can create enthusiasm because you will see the potential of how your goals could be reached sooner than you thought. It allows you to start with a clean budget every month. For me this is huge. I want each month’s income dollars to go toward each month’s expenses. By putting the extra budget money towards the biggest need I essentially end every month at zero and start over. It’s the simplest form of budgeting to me. If you are disciplined there is a great likelihood you will not spend every dime for every category you have budgeted. In fact, it happens to me somewhere in the budget every month. Use the unexpected money to create momentum towards your goals by funding them to a greater extent than you anticipated. Each month we would forget some expenditure. The kids back to school fees. A haircut for my wife. The car insurance payment that comes twice a year. These and what seemed like a hundred other things kept creeping up on us “unexpectedly” (we should have known) and wiping out our monthly budget plan. So in order to do budgets that work you have to be thinking about what is coming down the road. We had to take out our bills and our calendars and plan ahead for when certain items would be due. We inserted notes into our budget spreadsheets so that we wouldn’t forget those same items in coming years. And we forced ourselves to communicate more as a couple so all ideas about what was coming up that month were on the table. Those first monthly budget spreadsheets were a disaster. We created an exorbitant amount of categories, too many to efficiently keep track of. When we realized the amount of time it was taking to properly input all our expenditures, we knew something needed to change. So we streamlined some smaller categories into larger ones, which reduced the amount of time we spent figuring out where things went. Sometimes less is more. However, don’t reduce expenses into too few categories. There’s a danger to going in the other extreme as you won’t get a clear picture of where the money is going. Murphy’s Law states that anything that can go wrong will go wrong. The day you can’t be late for work the engine doesn’t turn over in your car. That’s why there is great value in creating adequate savings to pay for emergencies so Murphy doesn’t disrupt the monthly budget or hinder the debt payoff plan. This one area probably tripped us up more than anything else. Creating false emergencies consistently ruined our budget plans. Budgets are personal finance game-changers. When done properly they can alter your life. The process will take some time to figure out and there might be some holes like these to patch up. So don’t give up if you are experiencing some setbacks. That’s just part of creating an effective budget. It’s very easy for spending to spiral out of control and wreck the monthly budget. Much of the time, we do damage simply by not developing a system of checks and balances to monitor what’s going on. We end up waking up one day with a mess on our hands, wondering how we got there. The biggest step that had to take place for my spending habits to change was a shift in my attitude. Only after I willfully chose to get my act together and develop some discipline could my wife and I move forward with some strategic practices to curb spending. These three have really proved valuable for us. It brought my wife and I together ahead of time (before the purchase) as we communicated on what the specific dollar amount would be. Communication in a relationship is always a good thing. It allowed for freedom to spend up to the agreed on limit, providing the budget still allowed for it that month. That freedom was especially important to me being the natural spender in the relationship. It capped what I could spend without consulting my wife. This was a great assurance to her, being the one more concerned about saving for the future. The price limit rule varies for different people. What’s expensive for me might not be for someone else. Each person or couple will have to set their own limit based on their comfort level. Another point is that the limit can change over time. Ours has gradually gone up through the years as we’ve developed a better handle on our finances. To follow the 24-hour rule set this standard: “Do not commit to big purchases without sleeping on the decision overnight.” I highly recommend this one because it will reduce emotion. I would say most of our big purchasing mistakes happened because we were swept up in emotion. We became so excited about making a purchase that all logic and reason went out the door. Sleeping on a big decision overnight allows the body’s excitability levels to return to normal. It removes us from the store where buying pressures are at their highest and gives us time to think about it a little longer. We noticed that, on some occasions, we chose not to buy that item after settling down and giving it some further thought. Each month, we allocate a certain amount to our blow money budget category. Each of us receive a certain amount of cash to spend on whatever we like. It’s not a great amount but enough to be worthwhile and last the month if used wisely. Once we started this, I found that by freely being able to spend a little on whatever I choose, I was less likely to spend a lot on big-ticket items. The fun thing is, now that my habits have changed, most months I don’t even use my blow money. But I still get to keep it, and I get more at the beginning of the next month. In this way, I build my blow money up until I’ve accumulated enough for bigger purchases. And under the blow money standard we’ve set, I don’t even have to follow the price limit rule or the 24-hr. rule to make that bigger purchase. The great thing about doing budgets is that there are great many resources available to help. Some are free to use while others are subscription base. If you are looking at going the old school, traditional route you can use my monthly budget template. You can access this by clicking here and you’ll be redirected to my Resources page. You can download a copy in either Word, Excel or .pdf format. I prefer the Excel spreadsheet as it has all the formulas plugged in to do the calculations. So you can easily play with the numbers as you figure out how much to put in each category. Mint, one of the most comprehensive financial management tools on the market, gives a big picture view of your finances. It not only allows you to create a monthly budget but also tracks your net worth. It links to all your accounts at banks, mutual funds and IRAs. The sole purpose of YNAB is to help manage your finances using the zero-based budget concept. It does not provide features that allow you to manage investment or retirement accounts. Although anyone can use the app, its target user is someone who is new to budgeting and/or wants to get out of debt. This is the budgeting software created by Dave Ramsey. It has an easy to use interface with the focus on getting out of debt and building wealth. MVelopes is a virtual adaptation of the traditional envelope budgeting system where you divide up cash into expense specific envelopes. Once the cash in an envelope is gone you can’t spend anymore on that category until the envelope receives additional funds in the next month. This helps reduce overspending and forces you to be actively involved in your money management. There are many other budget and money management apps available, so experiment with them to find one that meets all your needs. The critical point to consider though is that you have to do something to track your spending habits, even if that’s using an old-school pencil and paper method. It’s the one true path to spend less, save more and have success with your finances. When my wife and I started putting together monthly budgets, we noticed a remarkable thing happen. We got a raise. Well, not literally but it felt like it. We had been neglecting our finances for so long we really didn’t know where our money was going. Our money went further each month after we got serious about budgeting. In that way, it seemed like we had given ourselves a raise. That was a great side benefit of budgeting we had not anticipated. Feel free to shoot any questions my way in the comments section below. Or if you have any specific questions about putting a monthly budget together you can contact me here. I’d love to hear a success story as you gain control of your money. Happy budgeting! Questions: What’s the best budgeting tip you have? Have you ever struggled with budgeting? What helped you learn to do them better? What tools or resources do you use to help with the budgeting process? Thanks for the brain dump! Really like your families budget revision idea. Sometimes I don’t really know what my income is going to be for a certain month, though it tends to be fairly regular. I have been toying with budgets for many years and I am still an excel spreadsheet person. I am now working on making my budget less complicated. I will take some of your pointers and incorporate them into my process and see how that works. Thanks again. Love your article. A budget does feel like a raise, I was amazed. Unfortunately I didn’t start budgeting until about a year ago. My plan is to keep budgeting as long as I spend. Found YNAB and have finally been able to make a budget work. I tried many others with no success, including some you mention. I had minimized spending but could not figure out the next steps. Have you tried Personal Capital? Their program comes with a sales pitch which you can take a pass on. Seems fairly comprehensive. I just have a problem with others having access to my assets. I tried them for a few months and was impressed, then I got security minded. Guess I’m still stuck in the old days. Best Budget Tip: Use a zero-based budget! It makes all the difference. “… budget does feel like a raise…” I’m intrigued in that so many people don’t see this. Budgeting and curtailing your spending habits just a bit is the first step to finding that extra cash you need to save for that emergency fund, pay off debt or save for that special project/need. I’ve gone through cycles with budgeting. When I first started learning about money, I was obsessed with budgeting – and this is where I find most of my readers (they love budgeting). But interestingly, with the high net worth clients I work with at my day job – budgeting isn’t really a big part of financial planning. Cash flow management and making sure spending is in line with their financial goals is important but that’s it – I don’t know anyone who budgets closely in my job. It’s interesting! “… don’t know anyone who budgets closely in my job.” That is interesting but not surprising to me. My guess is that high net worth clients are used to having more money than they really need. So the incentive to follow a budget isn’t there. I think I’d still do one no matter how much money I made. I like the accountability budgets bring and the fact I can track years of expenditures. My tip is to use a budget software as it makes really budgeting as easy as 1, 2, and 3. Jamie recently posted…Why does every company need a blog? Very well written post an a VERY important topic. Every Dollar is my budget system. Love it! Budgeting is really important to me. I make sure that every expense is included and sorted out accordingly. It is very important that a budget is personalized and updated monthly, at least. 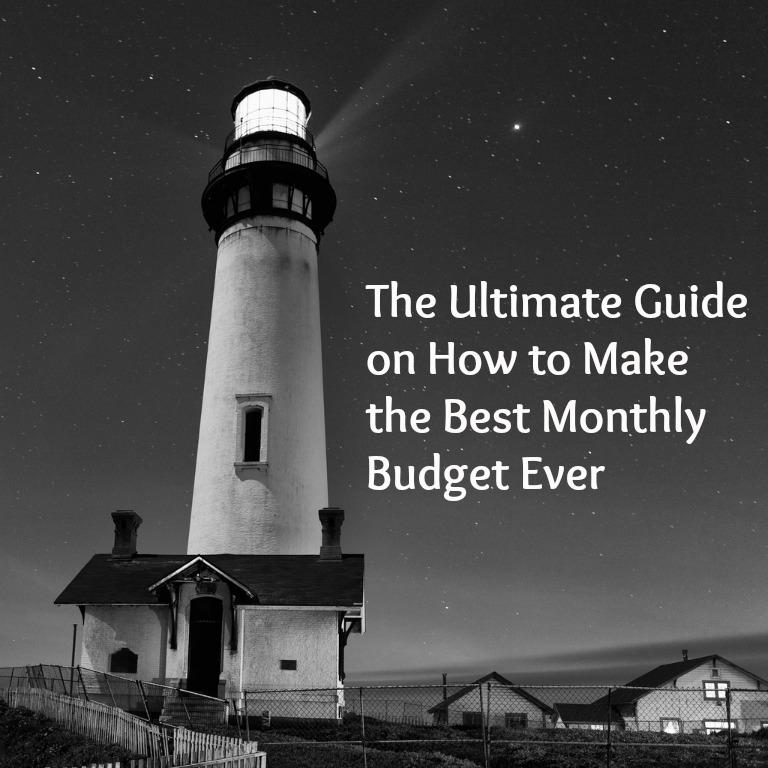 “…a budget is personalized and updated monthly…” Agreed Jayson! Every budget is different based on the needs and desires of the individual/family. And it has to be done every month to be really effective.